Meet Kevin Holbrook! 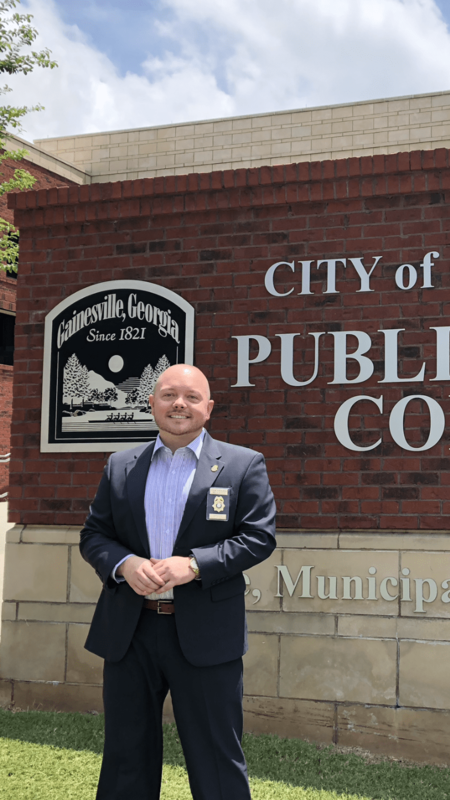 Kevin is the a sergeant for the Gainesville Police Department and oversees community and public relations as the public information officer. He comes from a long line of police officers in his family, he is a lifelong Hall County resident and is married to Abby. Kevin and Abby have 2-year-old twins; Braxton and Carson. We want to thank Mr. Holbrook for recently spending time with us and telling us more about his life and love of Hall County. Q: What has been on of the favorite things that you have done as the public information officer so far in your career? Q: What is something that you would want the community to know about that GPD is currently working on?